Paul Zhitomi, a business education teacher at Fairfield Warde High School, in his classroom May 31, 2017 in Fairfield, Conn.
FAIRFIELD — A new course at town public high schools would look to attract women into computer science, a male-dominated field whose broader make-up is often reflected in high school classrooms. The class, Computer Science Principles (CSP), is based on a new Advanced Placement course and requires only Algebra 1, a course typically taken in eighth or ninth grade, as its precursor. It was presented to the Board of Education last week and would launch its first class at Fairfield Warde High School this fall, pending board approval. As the district has grown its computer science and programming offerings in recent years, CSP would aim to be a more accessible course that would help bring diversity to a field with few women and minorities. “I really hope that it draws students into the computer sciences,” said Margaret Boice, Director of Secondary Education. Paul Zhitomi, a business education teacher at Warde who currently te aches five programming courses, first pitched CSP. Warde has enough student interest to fill an inaugural class taught by Zhitomi next school year, though Fairfield Ludlowe High School’s interest was not high enough to warrant a section next year. The course aims to be more accessible than AP Computer Science, which requires a programming course as a prerequisite and both nationally and locally tends to see primarily male enrollment. At Warde, Zhitomi said he generally has one female student in the class every other year. Recently, he had a “huge number” of female students take the course — four out of 23. “Unfortunately, statistics show this is where we lose students,” Zhitomi said. In computer science, women and minority involvement drops off in eighth and ninth grade, he explained, and is later reflected in the field at large. The district’s eighth-grade coding course enrolls a relatively high proportion of female students and is taught by female teachers across Fairfield middle schools, according to Boice, a contrast from later high school demographics. The district automatically tracks statistics on business, technology education and family and consumer sciences enrollment based on Department of Labor definitions of “non-traditional” students for a particular field due to requirements for Perkins Grant government funding the schools receive. Alongside that information, Boice said counselors work to encourage female students to take typically male-dominated courses when they show interest and ability. Zhitomi described the proposed CSP class as a basic computer science and programming course. The College Board’s course structure allows districts to choose the programming language they use for flexibility. Zhitomi selected teaching the class as a mobile computing course. The year-long program would involve different aspects of computer science and programming taught through a series of student-driven individual and group projects. The course is low-cost, designed to run without access to particularly expensive technology. Projects could be completed on a computer, tablets or students’ cell phones. CSP joins five other high school computer or programming courses: web design, programming with robots, game design and programming, AP Computer Science and Computer Information Systems, a mandatory course. CSP would not be the only recent addition to the district. 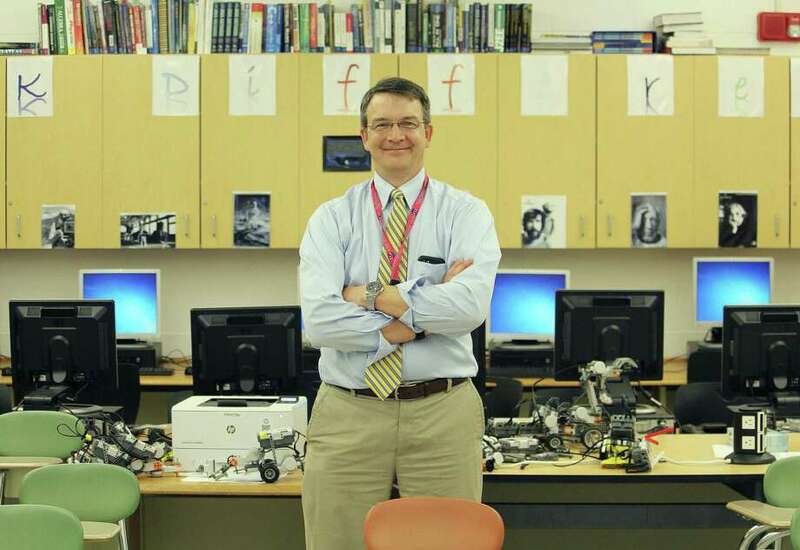 Several years ago — when business curriculums were up for review — the district’s eighth-grade course was revamped into the current coding class. It follows a sixth-grade class focused on Microsoft Office.